If there’s one thing I’ve caught myself saying in the last few years, it’s that there just aren’t enough AMG models. We are at an utter shortage! Thankfully, though, Mercedes just gave us three more to choose from. And they all use the new 3.0-liter straight-six with the 48-volt hybrid assist, so the go-fast brand is adding electricity to the mix now. As a quick reminder, the new 48-volt hybrid assist system doesn’t replace the traditional 12-volt electrical systems on-board. Rather, the 48-volt systems are being fitted to power the additions of increasingly complicated technology on cars, like electric power steering racks, electric brake vacuum pumps and electric water pumps. Here, it also allows for an EQ Boost feature, which makes it sound like it boosts the engine’s output. The hybrid functions include boost with 16 kW of output and 250 Nm of torque, recuperation, shifting of the load point, gliding mode and the virtually imperceptible restarting of the engine with the start/stop function. The new 53-badged AMGs are meant to slot beneath their V8 siblings in the lineup. They are the Mercedes-AMG CLS 53 4Matic, the Mercedes-AMG E53 4Matic Coupe and the Mercedes-AMG E53 4Matic Cabriolet. All four are all-wheel drive and have the AMG Speedshift nine-speed automatic transmission. No pricing has yet been announced. With the turbocharged 3.0-liter straight-six engine powering all four wheels, the cars boast 435 horsepower, plus the additional 22 HP from the electrical assist, bringing total system output to 457 HP. Torque is 384 lb-ft, with an additional 184 lb-ft. Zero to 62 mph happens in the mid-four second range for all models. 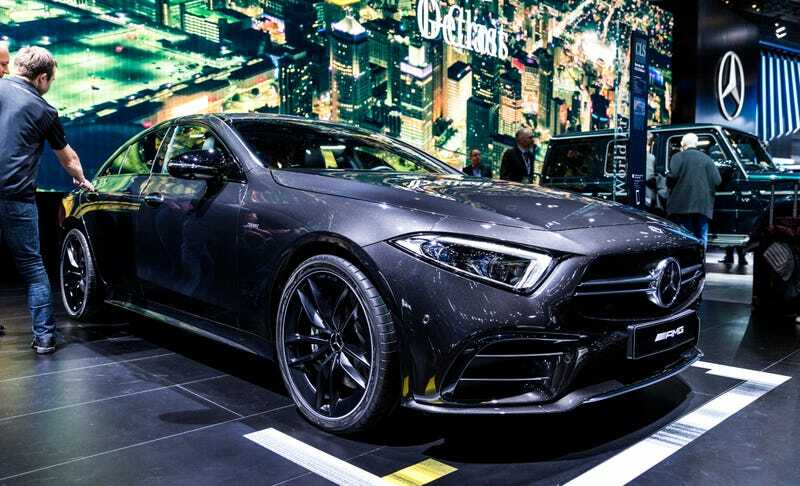 I see it as a good move for AMG! We all know how fast electric cars can be now. High performance hybrids—even mild ones like this—show incredible potential, so good on the brand for moving in a progressive direction. I’m eager to feel how these drive for myself.